TNPSC Recruitment 2019 - Apply Online for 60 Assistant System Engineer & Asst System Analyst Posts in Department of e-Governance, TNPSC, Tamil Nadu. Online Applications are invited by TNPSC - Tamil Nadu Public Service Commission from 22 Jan 2019 to 20 Feb 2019 for 60 vacancies. Eligible candidates may apply online at TNPSC's website (direct link is given below) from 22 Jan 2019 to 20 Feb 2019. Candidates log on to http://www.tnpsc.gov.in/. TNPSC Recruitment 2019 - Apply Online for 49 Drugs Inspector & Jr Analyst Posts in Tamil Nadu Medical Service and Tamil Nadu Medical Subordinate Service on Direct Recruitment. Online Applications are invited by TNPSC - Tamil Nadu Public Service Commission from 12 Apr 2019 to 12 May 2019 for 49 vacancies. TNPSC Recruitment 2019 - Apply Online for Laboratory Assistant Post in Department of Fisheries, Tamil Nadu on Direct Recruitment. Online Applications are invited by TNPSC - Tamil Nadu Public Service Commission from 19 Apr 2019 to 20 May 2019 and Written Examination to be held on 22 Jun 2019 for 1 vacancy. TNPSC Recruitment 2019 - Apply Online for 13 Assistant Training Officer Posts in Tamil Nadu Employment and Training Subordinate Service on Direct Recruitment. 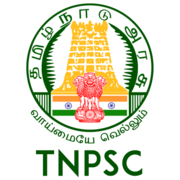 Online Applications are invited by TNPSC - Tamil Nadu Public Service Commission from 19 Apr 2019 to 20 May 2019 for 13 vacancies.